We already explained that some foreign visitors are prone to rejecting the symbols of Western civilization in Japan. They feel that the scope of Japanese culture is large enough and the time of visitors short enough to make it unnecessary to resort to concepts from one’s home country and shun immersion in Japanese culture. McDonald’s in particular seems to be the focus of this rejection, causing those who “break down” to experience a strong guilty feeling. 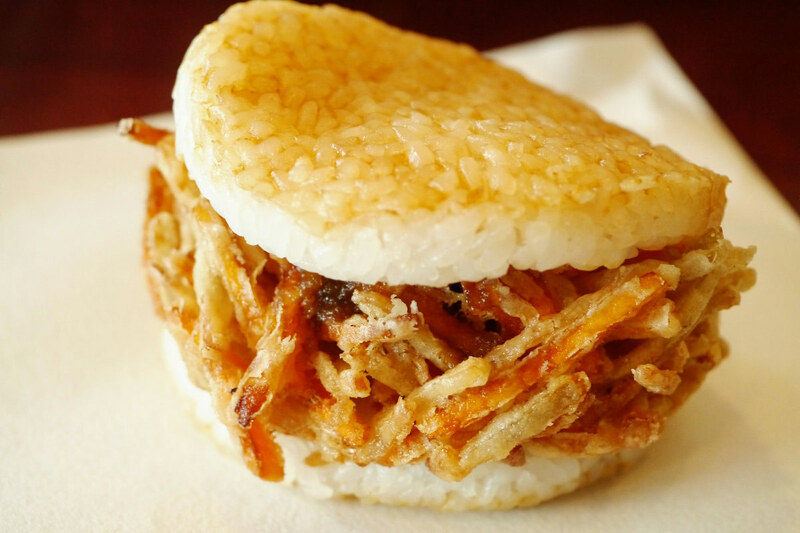 What had to pass, did pass: in the middle of your experimentation of Japanese cuisine, you went to Mc Donald’s in Japan… May Kannon, the Buddhist goddess of compassion, forgive you! 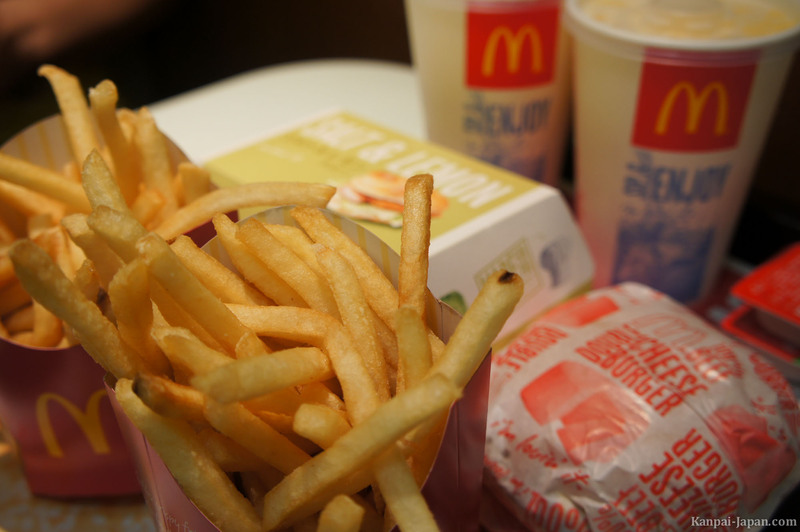 In our opinion however, it is no more scandalous to eat at McDonald’s in Japan than in France whose cuisine is on UNESCO’s World Heritage list. 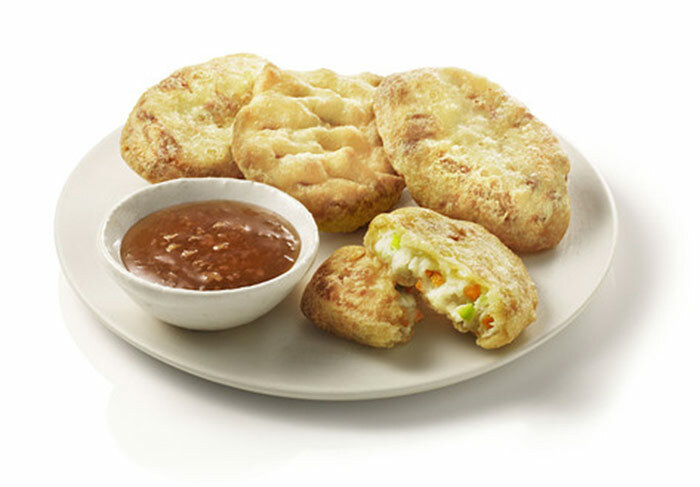 Especially as, just like in many other countries with a strong culinary identity, McDonald’s has adjusted to local food habits by offering a larger, more typical range of products beside the rather dull Big Mac/ Happy Meal (called Happy Set in Japan) combination. Burger King, on the contrary, which also receives widespread support, has not done much in that line. Mega Potato: 350 gr of French fries for a total of 1142 Kcal. Another attractive feature of Japanese McDonald’s is that hygiene is in all respects complied with. Product quality is excellent both with regard to conservation and cooking methods. The burgers on your tray will look as similar to those presented on the menu as possible. Servings are not oversized as in other countries around the world (especially in the United States) and they contain less fat and salt. However, even though prices are affordable, it may still be possible to eat on a tighter budget at a small standard ramen restaurant or any other Japanese cuisine fast-food restaurant. 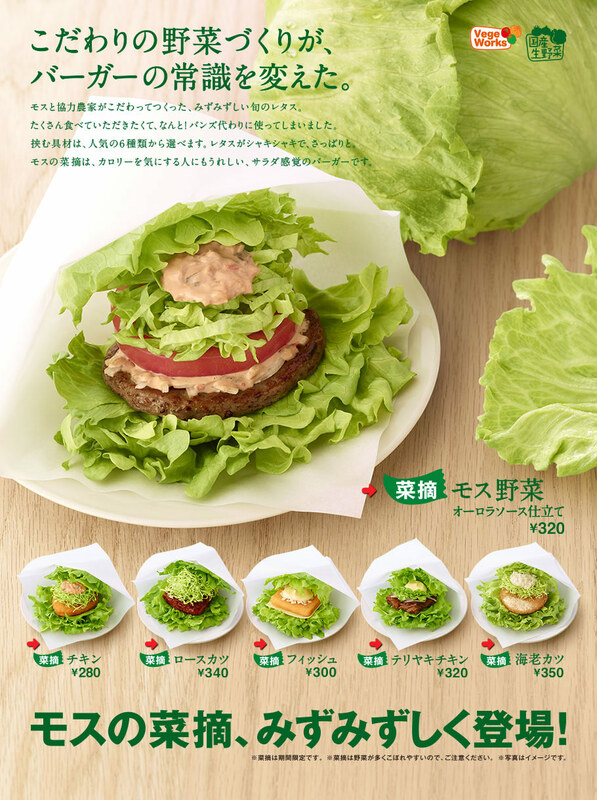 A range of burgers to match seasonal events (Starbucks also uses this kind of marketing with, for example, its sakura-maccha macaroon). This article is of course not intended to persuade you to patronize a Japanese McDonald’s during your stya, though why not give it a try if you’re a regular user in your home country? If you’re tempted, it would be a shame not to, or worse, to feel guilty about it. To conclude, note that the name is typically pronounced as マック "makku" in the Tokyo area whereas in the West (Osaka, Kyoto and elsewhere), you will hear it pronounced as マクド "makudo".